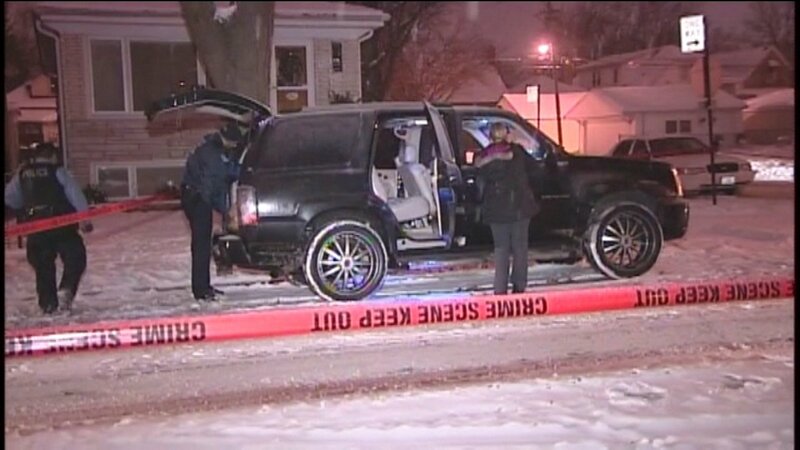 Chicago police investigating a fatal shooting on the Northwest Side Friday night. CHICAGO (WLS) -- Chicago police are searching for two suspects who shot and killed a 28-year-old man in the Belmont Heights neighborhood Friday evening. Police said the suspects and the victim were involved in a verbal altercation at a convenience store after 10 p.m. The victim got in his car and drove away but was followed by the suspects in a light-colored, police said. The suspects pulled alongside him in the 7200-block of West Grace Street and fired shots, hitting the man in the head, police said.